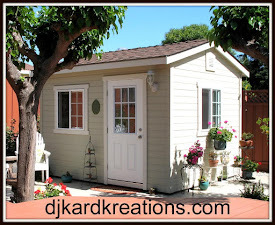 djkardkreations: JUGS GD #405 "Shower"
I'm absolutely pickled tink to be here today as the August Guest Designer for the very fun challenge Just Us Girls! (JUGS)! I hope you will join me for the four August challenges lined up for your summertime inspiration! 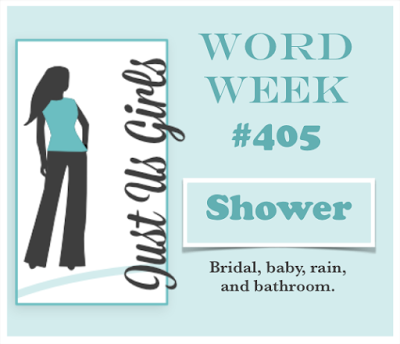 The current challenge #405 is a Word Week and the word is SHOWER. I went wonky wild using my MFT and Spellbinders wonky dies. The happy little bunny splashing in the rain is from a company that is no longer in business. The sediment and raindrops are from The Stamps of Life. 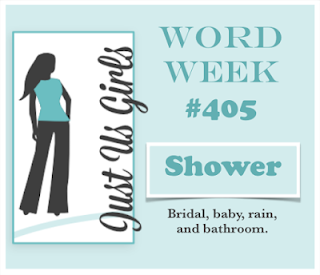 Whether baby, bridal, rain, bathroom, meteor, or whatever unique way you can conjure up the word SHOWER, we'd love to see your work of art! For more inspiration, please check out the wonderful creations by the Design Team at Just Us Girls!! First up, congratulations on your GDT spot! The little bunny is just adorable, I love the expression on his face - I guess he is not too happy with a wet bottom! I love the way you did the raindrops, they are so realistic. I also love the way you finished off the card inside too, so professional and so beautiful! 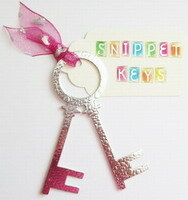 Two fabulous shower cards - great effect with the wonky stitched lines and sweet little critter. And congrats to you ! Hi Darnell, Congrats on the DT spot. Congrats on your GDS, your card is adorable, your raindrops are amazing. Enjoy your weekend. Congrats on the guest designer spot! Love this cute, cute card too. We need some of those raindrops down this way. Here it's HOT and the rain is a big dream... so your card makes me feel more fresh :D LOL Great design for your fun card, and love the sparkling! Congrats for your GD! ...and it rained last night so this is doubly appropriate. Hope your yard got the same drink of water. Adorable the way you made those drops glisten and his eyes sparkle. Such a sweet card. What a fabulous, fun combo of old and new! Your little bear is one of those stamps that's too cute to give up for sure. I adore every bit of this! Congrats on your guest spot! Oops, I meant bunny. Your little bunny... sheesh, big ears, big feet -- bunny! So adorable!!! Love those wonky dies too! So happy you are guest designing at JUGS!!!! All of these cards are so wonderful and perfect for the theme. I congratulate you too on the guest spot. You certainly pulled it off in great style with these fantastic card designs. Absolutely fabulous card, love every think about it. What an adorable card, and I love the inside! You did an outstanding job. Congrats for being a part-time JUGS girl! Hah, that sounds almost offensive doesn't it? LOL What a fun card with all of it's wonkiness and schparkliness. Very cool CAS card! This is the kind of shower I like! Darling umbrellas and I love that wonky stitched edge! How fun that you are GD at JUGS! Adorable little critter, great raindrops, and wonderful inside of card too! Congrats on being the GD, Darnell! 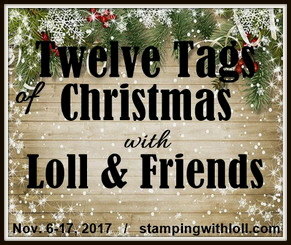 Your card is adorable & will really brighten someone's day! Perfect card for the JUGS GD spot. 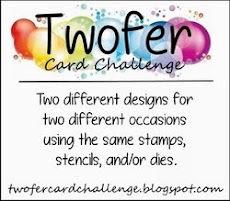 Love your cute card and the wonky rectangles. Have a great weekend. How absolutely adorable!!! I love that you have kept this design simple with just the focal image and those raindrops. Love your stitched die cuts too. So happy to have you with us this month as Guest Designer.....welcome!!! So adorable--love your sweet bunny! 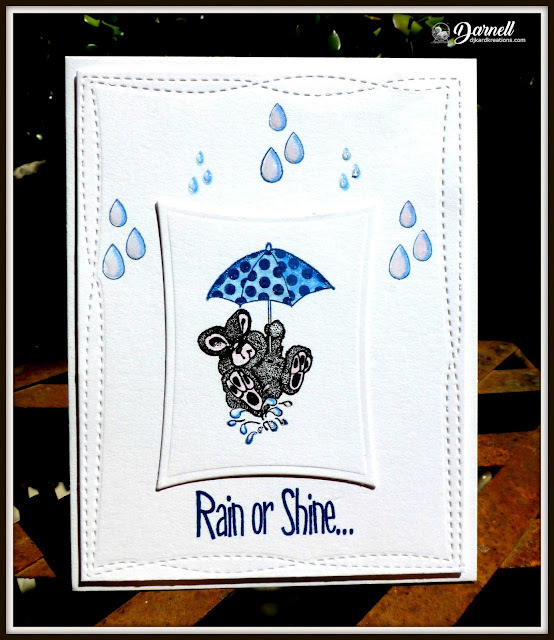 Those rain drops look fabulous and how creative to have a matching inside design! Congratulations on being GD at JUGS. So very cute. Love the continued sentiment. Wildly applauding your GD appearance at JUGS and crushing over your sweet shower card! The bunny...that umbrella...those raindrops...LOVE! We 'finally' had some rain here but didn't amount to much, aside from giving my yard o'weeds more incentive to grow even more quickly! We have landscaping lined up; just waiting for a date. Excited...I'll be glad to have grass, boulders, gravel, trees and even a little garden space! Off to see mom/mark exams this week; then high-tailing it back home with my brother, SIL and the two darlings hot on my heels, coming to spend a week with us. Soooo excited! Maybe a call when things settle down..pretty please? Beautiful cards Darnell!! Love those drops of water! Congrats GD and good job for your first post. That is a cute critter and you did a super job on the inside. Love your interpretation of the "shower" theme. Congrats on your GD spot. I bet they're "pickled tink" to have you aboard for this challenge. Have a great week! Many congrats on your much deserved Guest spot Darnell, these cards are simply stunning ... as ever! Love the shine on those drops! What super cards Darnell! Those wonky dies are really cool! Love the sweet guy with the umbrella too. Hope you enjoy your day and you are feeling well! It was fun and a good surprise to see your card at JUG! Congrats for that! The card is sweet and so fitting, but stil I love that 2nd card more; perfect CAS and I love the blue! Hope you have a good weekend! But beautiful card. I love the sweet hedgehog and I admire your rain drops. They look really amazing. WOW !! congrats on the GD...this one has me stumped I have to say. Great card and loved seeing the inside too. When I read you were appearing in "JUGS" I did wonder if you'd had some dodgy photos taken lol! Your wabbit is sooo cute and you always use some wonderful sentiments. So glad you are Guesting with us this month! I just love the drops on your fun card. Yay, congrats on guesting Darnell, I'm so happy for you!! Your debut card is just as cute as cute can be!! Cute and simply adorable card Darnell. Welcome to JUGS. So glad to have you as our Guest for August. I also love wonky! Very cute, Darnell..... this could have gone a whole different way, like the shower scene from ummmmm..... Psycho! LOL. Love this, plus you can never go wrong with blue and sparkle! Congrats on being guest designer. They couldn't have picked a sweeter person to join their team this month! Your card is so darling!! Congrats on the GDT spot. The card is a cutie. Love these sweet cards! The raindrops are great. I'm so happy to have you as our guest designer this month, Darnell. I want to reach out and touch those raindrops they look so real. A great card Darnell - I am sure Hammy must have enjoyed all the raindrops as you created them, as they didn't make him wet! Congratulations on your guest Design Team spot. Great job with your "shower" cards! Welcome Darnell! I am thrilled to have you joining us this month as our Guest Designer at JUGS! Your card is adorable with that cute little bunny holding the umbrella. Love those raindrops with the added sparkle and on the umbrella, too! Can't believe you're not designing for every challenge out there! This is the sweetest card. Loving the glistening drops, and that sweet bunny! Hugs!!! This is so adorable Darnell! We are so happy to have you join us this month! Can't wait to see the rest of your guest designs this month!